With the Global Climate Action Summit this week in San Francisco, California is having its moment in the sun, to try out its role in helping world leaders define climate change policies. We wanted to talk with someone who's had a front row seat as California's role has evolved. Terry Tamminen was Governor Arnold Schwarzenegger's chief policy advisor on the environment and the architect of the state's Global Warming Solutions Act, among other big initiatives. He now runs the Leonardo DiCaprio Foundation, a non-profit focusing on conservation and climate change. KQED's Brian Watt met up with Tamminen at San Francisco's Exploratorium, which is hosting a few summit events. 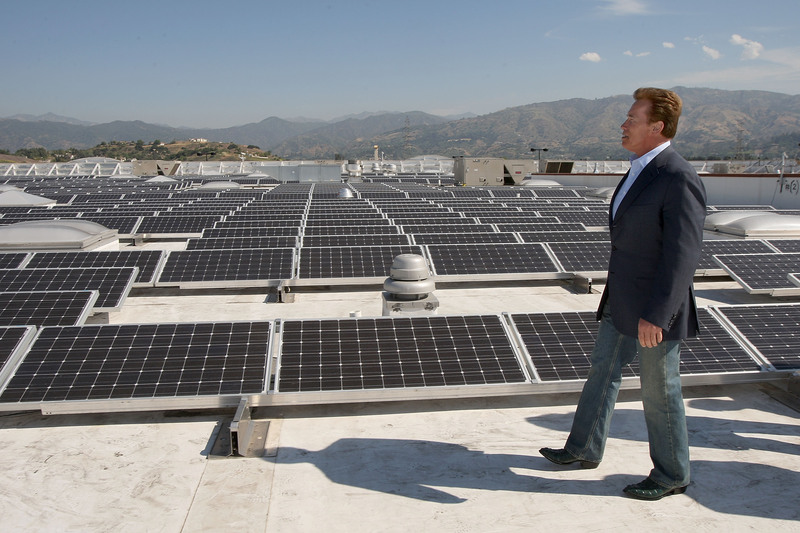 Watt: How did climate change become a big issue for Arnold Schwarzenegger when he was governor? Tamminen: Well, first of all, people might be surprised to know that the action hero who went around on movies, blowing things up, and in real life driving a Hummer, was actually a committed environmentalist. He grew up in Austria, in post-war Austria, where the cities were still very devastated and dirty, and his family would send him up into the mountains in the summers. So he got a real organic appreciation for nature and then that led to his appreciation for health and bodybuilding and so forth. When he decided to run for office, he always wanted to focus on environmental protection as one of his initiatives because when he came to California, he had this vision of healthy people running along a beautiful beach with their bronzed bodies in the sun, and was stunned to find air pollution that, as he says, would sting his eyes and his lungs. And he'd run on the beach and step on trash. [Environmental protection] was always something he wanted to do. 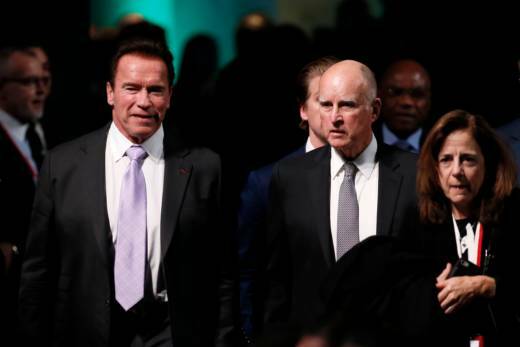 Watt: So this is not something that occurred to him when he became governor, that California needed to have very ambitious climate goals from the outset? Tamminen: When he first decided to run, Bobby Kennedy Jr. suggested that he contact me -- I was running a foundation at the time -- to help him set up policies. Because it's one thing to know what the problems are, -- we could all see forests and species disappearing and smog and various other problems that we wanted to change -- but it's a different thing to know how to push the levers of government to make those changes. So literally two days after he announced for governor, he called me, we got together and started talking about everything from water policy to marine protected areas, to land that needed to be conserved in California, how to give people more access to parks and open spaces, how to tackle various kinds of pollution. And then climate change, coming from Europe that was something that even back in 2003 he was very aware of and wanted to do something about. So we setup our climate policies as part of his campaign. Watt: Once Jerry Brown became governor, did he consult with his predecessor on climate change issues? Tamminen: Sure, and I could tell you, we consulted with him. He was attorney general don't forget, while Schwarzenegger was governor. And we built a lot of our programs standing on his shoulders, because when he was first governor, he put the California Energy Commission into place. They called him Governor Moonbeam back then because they didn't think solar and those types of things were practical. But, obviously, we know today that he was right. Watt: Where will California go with regard to climate change? Tamminen: Well, hopefully we become our own country; we'd be the seventh largest economy on the planet, if we were, and then we'd have a little more control over our destiny and wouldn't always be fighting. You have to remember that even Republican Arnold Schwarzenegger, we had to sue Republican George Bush to protect some of our climate laws, and we won. So, look, I think California's going to continue to get cleaner and healthier. I used to run the California EPA; I can tell you those folks are dedicated to implementing our state and federal laws even when we have an administration in Washington that isn't. Watt: You barely, barely chuckled back there when you talked about California becoming its own country. I just want to ask, might it have to come to that for California to reach its aggressive climate change goals? Tamminen: Well let's just keep this between you and me for now, but the truth is we've already done it. California has unique rights under the Clean Air Act and that's one of the reasons we were able to regulate what comes out of a tailpipe, which then the Obama administration federalized in the form of fuel economy standards, and now, of course, Trump is trying to roll back. But because of those unique rights, we get to do that. And it's such a big market that the car makers obviously are not going to fail to comply. And that's the kind of thing which, because we have that regulatory authority and that market size, then other states and companies follow. So in many ways -- again, let's just keep this between us -- we are already the Republic of California.